The RUN domain, named after RPIP8, unc-14 and NESCA, is organised into six conserved blocks (A-F), which are predicted to constitute the 'core' of a globular structure tolerating insertions of considerable length between the conserved blocks. 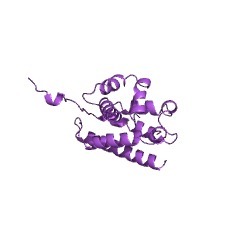 The RUN domain is found in one or two copies in several proteins that are linked particularly to the functions of GTPases in the Rap and Rab families. RUN domains can be associated with TBC/rab GAP, FYVE, DENN, SH3, DAG/PE-binding, PLAT/LH2, PH or PX domains. The RUN domain may have a role in the interaction of various proteins with cytoskeletal filaments [(PUBMED:11509568)]. 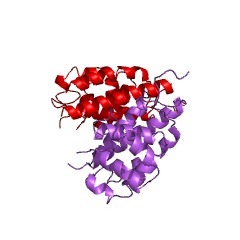 The predicted secondary structures of the RUN domain core indicate a predominantly alpha fold [(PUBMED:11166556)]. There are 11118 RUN domains in 10051 proteins in SMART's nrdb database. Taxonomic distribution of proteins containing RUN domain. This tree includes only several representative species. The complete taxonomic breakdown of all proteins with RUN domain is also avaliable. Click on the protein counts, or double click on taxonomic names to display all proteins containing RUN domain in the selected taxonomic class. Regulators of G protein signaling: a bestiary of modular protein binding domains. 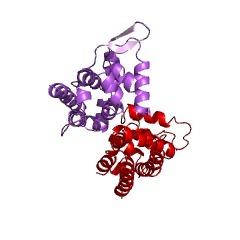 Members of the newly discovered regulator of G protein signaling (RGS) families of proteins have a common RGS domain. This RGS domain is necessary for conferring upon RGS proteins the capacity to regulate negatively a variety of Galpha protein subunits. 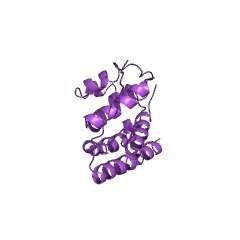 However, RGS proteins are more than simply negative regulators of signaling. RGS proteins can function as effector antagonists, and recent evidence suggests that RGS proteins can have positive effects on signaling as well. 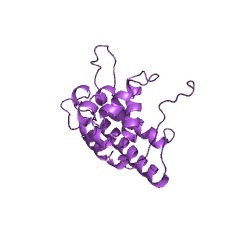 Many RGS proteins possess additional C- and N-terminal modular protein-binding domains and motifs. 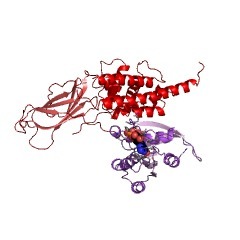 The presence of these additional modules within the RGS proteins provides for multiple novel regulatory interactions performed by these molecules. These regions are involved in conferring regulatory selectivity to specific Galpha-coupled signaling pathways, enhancing the efficacy of the RGS domain, and the translocation or targeting of RGS proteins to intracellular membranes. In other instances, these domains are involved in cross-talk between different Galpha-coupled signaling pathways and, in some cases, likely serve to integrate small GTPases with these G protein signaling pathways. This review discusses these C- and N-terminal domains and their roles in the biology of the brain-enriched RGS proteins. Methods that can be used to investigate the function of these domains are also discussed.